Having a fire pit in your yard is a great way to entertain family and friends. People will be able to keep warm and converse together during those chilly nights outside. Installing fire-related hardscapes can be tricky, and knowing the rules and regulations for having a fire pit is important to keeping you and your entire family safe. 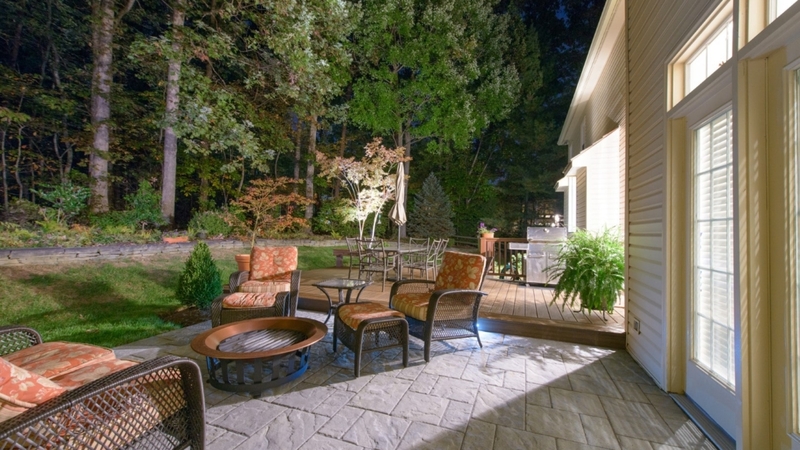 Groff Landscape Design offers the best fire pit installation services in Northern Virginia. Our efficient and reliable services are sure to keep homeowners cozy this winter season. We are thoroughly experienced in providing quality landscape services, including outdoor lighting, outdoor kitchens, and driveway installations suited to your needs. Below are a few rules and regulations for having a fire pit installed in your Fairfax County home. Open burning consists of the burning of unwanted materials such as paper, trees, brush, leaves, grass, and other forms of debris that allow for smoke to be released directly into the air. If the smoke passes through a chimney or stack from an enclosed chamber, then it is not considered open burning. Open burning does not include items such as road flares and other types of devices associated with safety. A fire pit is considered a portable outdoor fireplace because they are constructed of steel, concrete, clay or any noncombustible material. Fire pits can be open or have a chimney opening as well. Permits are also required for a bonfire in Fairfax County due to it being considered as open burning. According to the county, a bonfire is a supervised outdoor fire with a fuel area greater than three feet in diameter and two feet in height, which requires a Fire Prevention Permit. To reduce the risk of property damage, occupant displacement, and injury or death, Fairfax County states that the fire pit should be a minimum of 15 feet away from any structure, including homes and decks. The use of a fire pit under or on a deck or balcony is strongly discouraged due to the risk of it catching on fire. Extra precautions should be taken if a fire pit is on a balcony or deck, including patio blocks or pavers to prevent damage from any stray embers and radiant heat. Groff Landscape Design: the Best Landscape and Design Company in Northern Virginia! Our experienced team is here to help with all of your fire pit installation needs in Northern Virginia. We offer a variety of landscape design services that are sure to help you create the yard of your dreams. Hire the best landscape and design company to manage your design and installation process so you don’t have to! Our landscape and design experts are flexible and available to help you throughout the entire process so you don’t have to worry about anything. Contact us at 703-999-8225 for more information on fire pit installations!